A moment in 2010. (Then) Master Sergeant Vince “Vinni” Jacques, who was wounded in action in July 2004 during a mounted patrol outside of Taji, Iraq, hangs out with Volunteers, the feline rescued by Soldiers of Bravo Company, 2-162 Infantry during the aftermath of Hurricane Katrina in New Orleans. 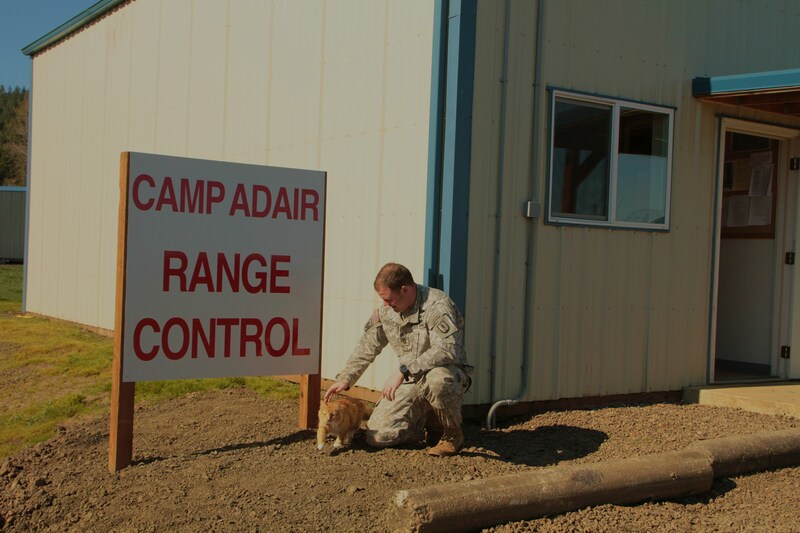 The photo was taken at Camp Adair, Oregon, February 17, 2010. 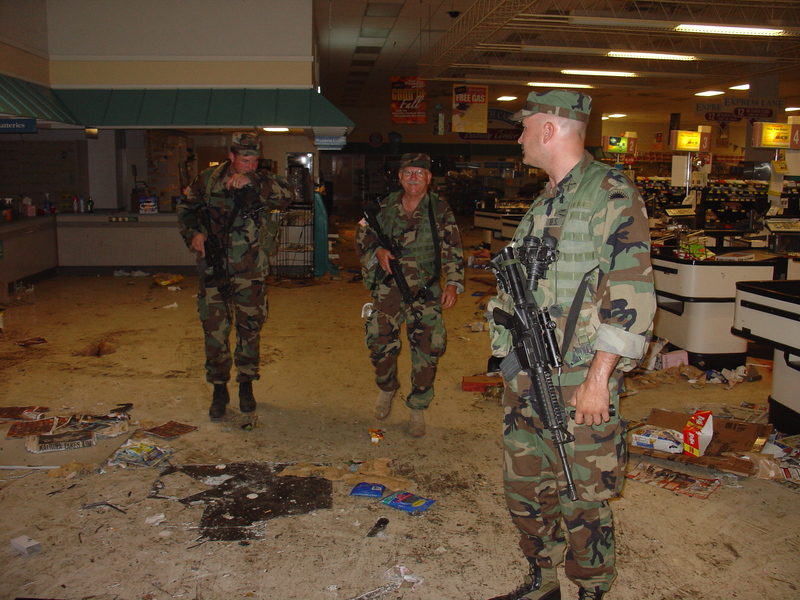 The Winn Dixie, post looting, on Gentilly Road. North Central, New Orleans. September 2005. 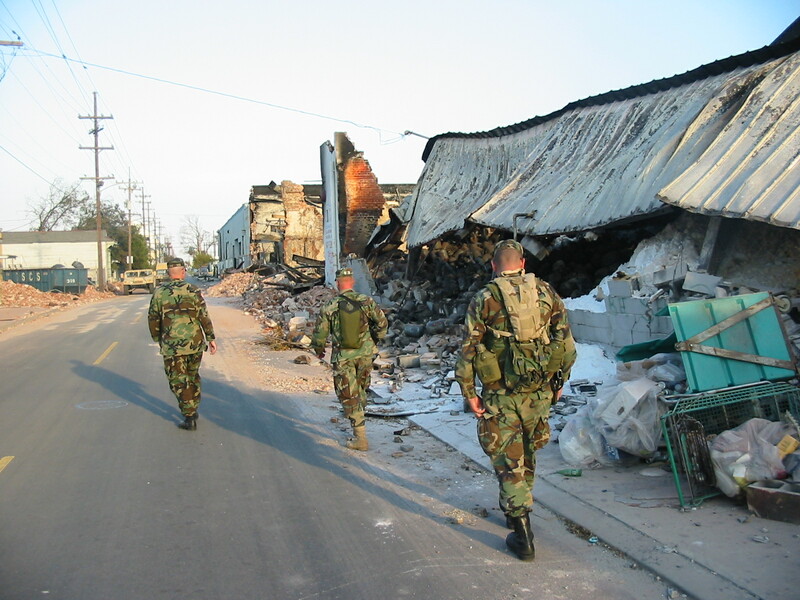 In September, 2005, I embedded with Bravo Company, 2nd Battalion, 162nd Infantry when the Oregon National Guard’s 41st Brigade was deployed to North-Central New Orleans during Hurricane Katrina’s aftermath. Throughout September, we lived outside on the grounds of the New Orleans Baptist Seminary and patrolled neighborhoods devastated by looting and the flood waters. In our area of operations, the Soldiers of 2-162 found forty-nine dead, many of whom were victims of gunshots. The pets fared even worse than those who chose to stay behind after the evacuation order had been given. 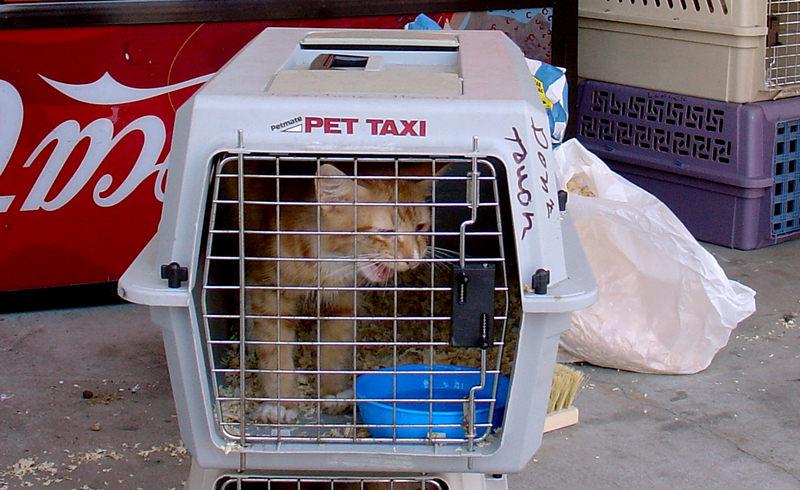 Some 80% of the animals left in the city died that September and October. It was a horrible thing to see, and the local authorities were doing little but interfere with the volunteer effort to save as many dogs and cats as possible. 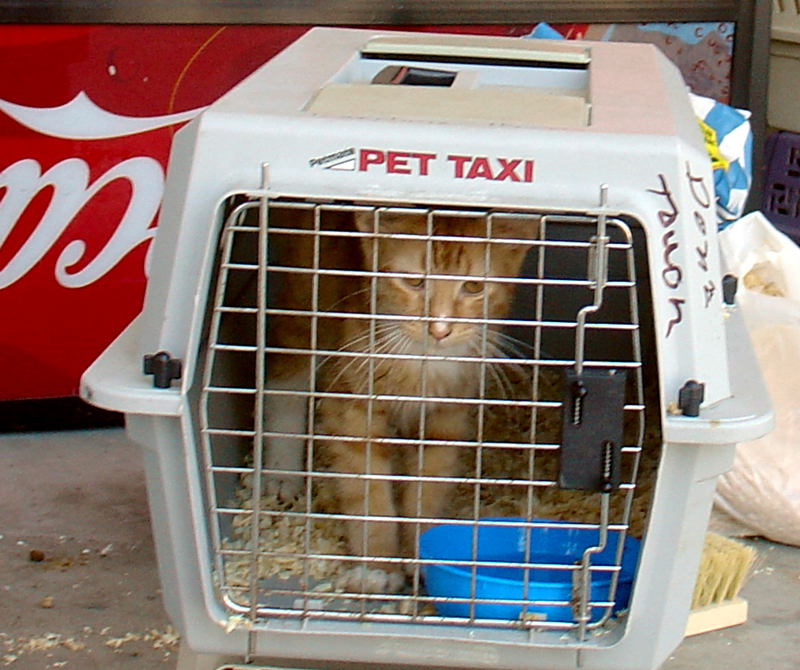 On September 12, 2005, I was on a patrol that discovered a dog and a kitten trapped inside a flooded, looted motel. The entire first floor was coated in black, syrupy mud that stank of excrement. When we reached the second floor, both the kitten and dog began to howl. The kitten was hoarse, and sounded weak. The dog seemed to be in better shape. One of the NCO’s rescued both animals. When the kitten appeared in the darkened hallway, he was covered with so many fleas he was anemic. They ran in packs across his nose, his eyes and his ears. His skin hung off his skeletal frame, and he was so dehydrated it had lost all its elasticity. I offered him water, but all he wanted was attention. He rubbed against my legs, purring furiously. He’d been trapped in that motel room for two weeks without food or water, living in a little nest he’d forged out of the unmade bed in the room. While the NCO went to rescue the dog, I took the kitten downstairs, where I ran into Mark Martin of Athens, Georgia. 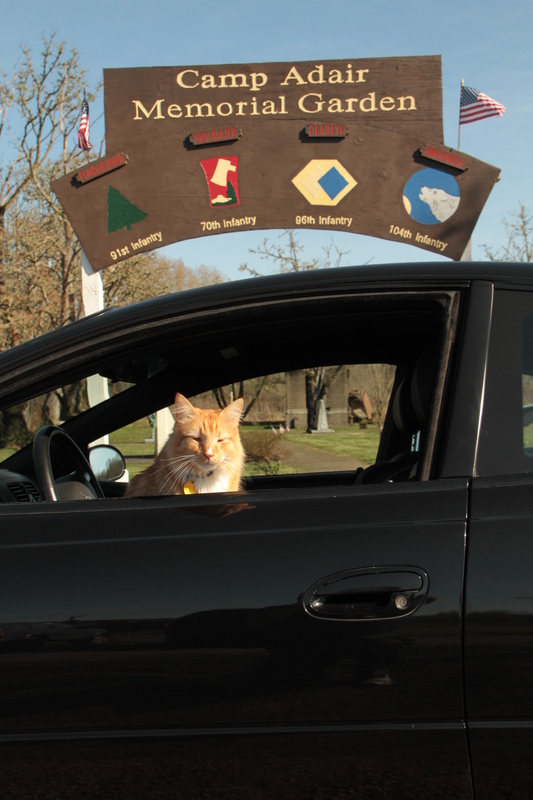 Mark and his wife had driven into the city, established a base of operations near the Seminary, and had created on the fly a rescue organization that had already saved hundreds of animals. Volley greeting me during a visit to the Winn Dixie parking lot and Mark Martin’s operation there. Mark asked me if I wanted the kitten. No brainer. He took him, put him in a cage and got him down to the Winn Dixie parking lot on Gentilly Road, where vets and vet techs had gathered with other volunteers to treat the foundlings. For several days, it was touch and go with the little orange guy, but after repeated IV fluids, he pulled through. He was evacuated out of the city about a week later, and then after I got home to Oregon, Mark and Shannon Martin paid out of pocket to send the kitten to me. He actually arrived with another foundling kitten that he’d bonded with, plus a dog Bravo Company found on the street on a later patrol. The dog, Gustav, went to Sgt. Andy Hellman, a member of the 2-162 scout platoon who was wounded in Baghdad during a firefight in August 2004. The kitten came home to me, and for the next five years rarely left my side. I named him Volunteers (2-162’s nickname), but called him Vol or Volley. He became a fixture around my little town. The coffee shops gave him his own cup of whipped cream. The cafe across the street from my office always gave me treats to share with him–ham, turkey and sometimes bacon. He’d been so desensitized to noise, vehicles and people, that crowds never fazed him. He loved car rides, the faster the better. But most of all, he loved anyone in uniform. While I worked on my sixth book, The Devil’s Sandbox, many of the 2-162 vets of OIF II came by my office for interviews or just to visit and drink Jameson with me. Vol was always at my office with me, and he would promptly mountain climb up the Soldier’s legs to get int their lap. When then-Major Wyatt Welch came for a visit wearing a brand new, freshly issued set of ACU’s, Volley chose that moment to jump on his back and hang on him like Garfield on a screen door. Vol traveled all over Oregon with me. 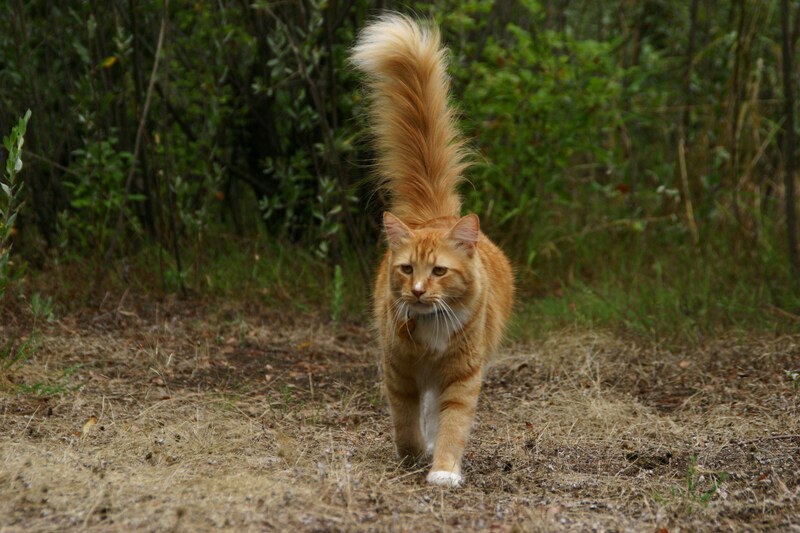 He followed me on hikes through the Coast Range, spent weeks in the Cascades with me as I wrote in a remote cabin in the Willamette National Forest. He went to Autzen Stadium, home of the U of O Fighting Ducks. He went to my kids’ classrooms for show and tell, and I often took him to the school when picking them up after the bell rang. In 2010, he hung out with then-SFC Vince Jacques at the Camp Adair Rifle Range. He was the most utterly fearless animal I’ve ever owned. 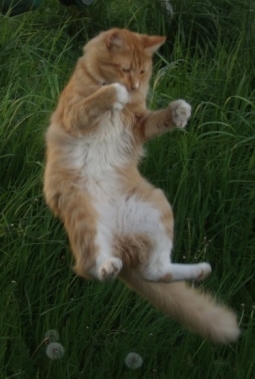 He once got bent that a golden retriever had come into our yard and charged him. Before the startled dog could even react, Vol had torn up his snout, dashed sideways and was making another claw run on him when I tackled him. He was less than pleased that I intervened. Vol became a symbol to me of everything good that came out of my time with Bravo Company and the rest of 2-162. We saw a lot of horrible stuff in New Orleans, and we came face to face with the worst our countrymen and women could inflict on each other. 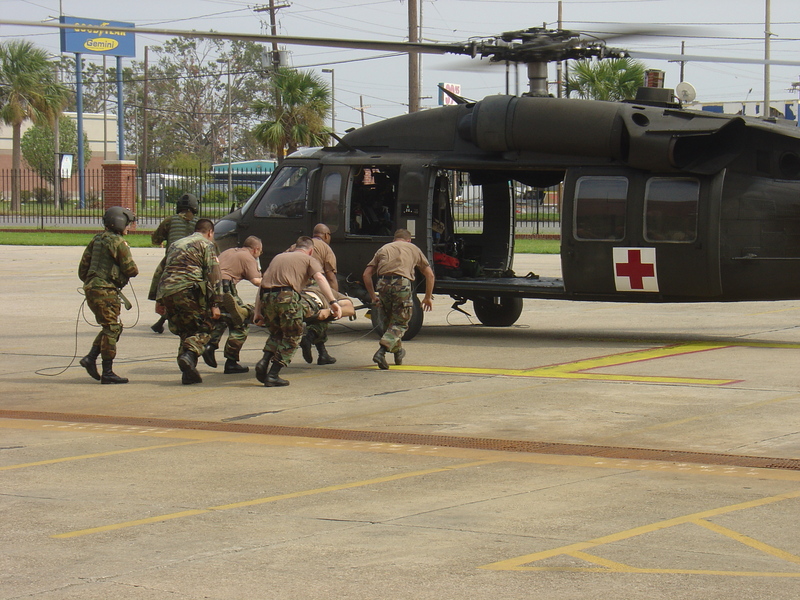 In later years, I ran into other Soldiers from other units who all agreed that New Orleans post-Katrina was worse than their Afghanistan deployments. That it happened here at home made it exponentially worse. Vol was the bright spot, the one good thing I brought home to counter the memories of corpses being eaten by scavenging animals in the streets. He also reminded me of the bond I’d shared with the men of the Oregon National Guard. With Vinni Jacques at Adair’s rifle range, February 2010. This was a video I put together in 2009. The music was written and performed by my friend, Barry Thomas Goldberg. The first time I heard it Remember New Orleans it resonated with me. It was exactly how it felt to me to be there. Barry’s music is powerful stuff. Check him out on ITunes and Rhapsody.